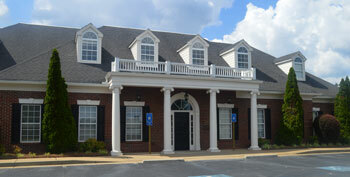 Our Lawrenceville office is conveniently located near Gwinnett Medical Center in the Medical Center Professional Park. Turn LEFT onto Lawrenceville-Suwanee Rd. and continue 5.8 miles to Old Norcross Road. Turn LEFT onto Old Norcross Road. 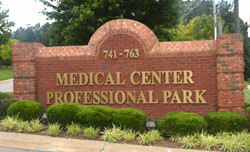 We are located on the LEFT in the Medical Center Professional Park (~500 feet). We are the first building front and center. Take Exit 106 (Hwy 316) to the SR120 exit. Turn LEFT and continue for approximately one-half mile to Lawrenceville-Suwanee Rd. Proceed approximately one mile and turn LEFT onto Old Norcross Rd. Take Scenic Highway (SR 124 East) to Sugarloaf Parkway. Turn LEFT onto Sugarloaf Pkwy (northbound) and proceed 2.2 miles. Turn RIGHT onto Lawrenceville-Suwanee Rd. and proceed for 2.2 miles. Turn RIGHT onto Old Norcross Rd. Stay on 120 for 7 miles until you get to Lawrenceville-Suwanee Rd. Proceed approximately 1 mile to and turn LEFT onto Old Norcross Rd.